I’m pretty rough on my rackets and haven’t been able to keep them for very long. These are a list of my rackets in reverse date order–starting with what I’m currently using. Also, I have never actually bought a racket myself, not even a cheap one. For the first few months I used an old club racket. The rest were given to me as gifts. My tension is currently 27 pounds. 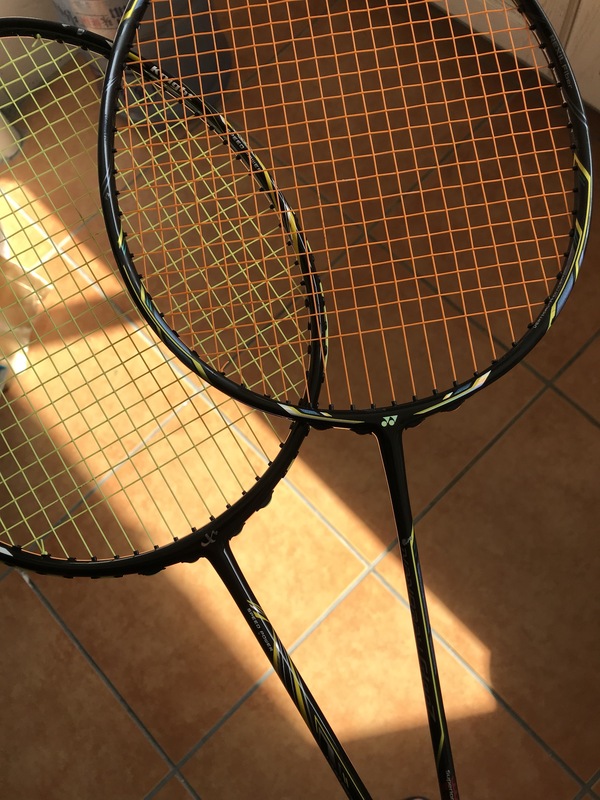 My current two rackets I use the most is a Yonex Nanoray Glanz and a Excalibur Knight EC-68Y, both strung at 27 pounds. Even though Yonex is the more famous brand I actually prefer to use the Excalibur Knight. As a fan of literature, something about it just speaks to me. 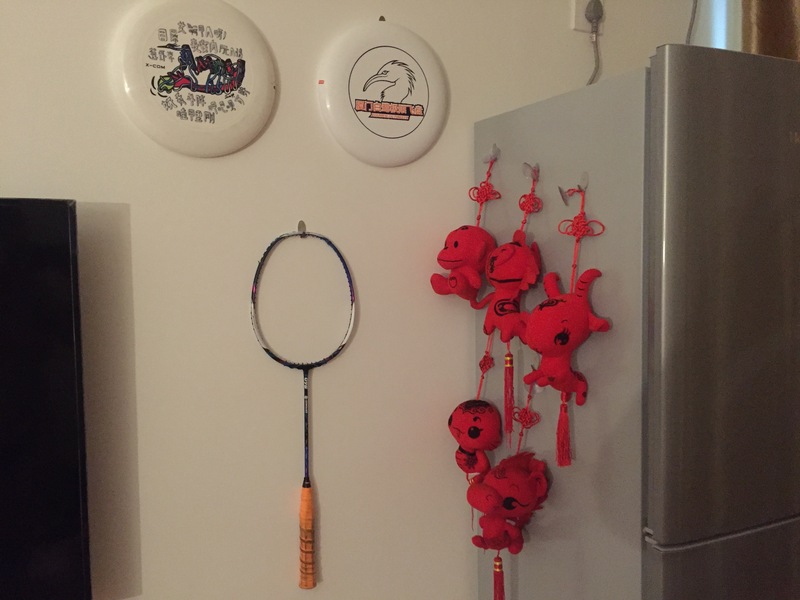 The Yonex one was “permanently lent” (heh heh) to me from Azhi because it is light and I had tennis elbow. The Excalibur one was given to me by my coach my last birthday. A victor racket given to me by my friends on my 40th birthday. Sadly, sometime after I had it restrung I hit the ground and it broke the frame. I think I started this racket with 22 pounds tension and them had it restrung at 24 and even though that isn’t much I blame that for it breaking. My very first badminton racket given to me by my friends for my 39th birthday. I had been using the borrowed club racket for the first few months because I was too cheap/lazy to buy myself a good one. 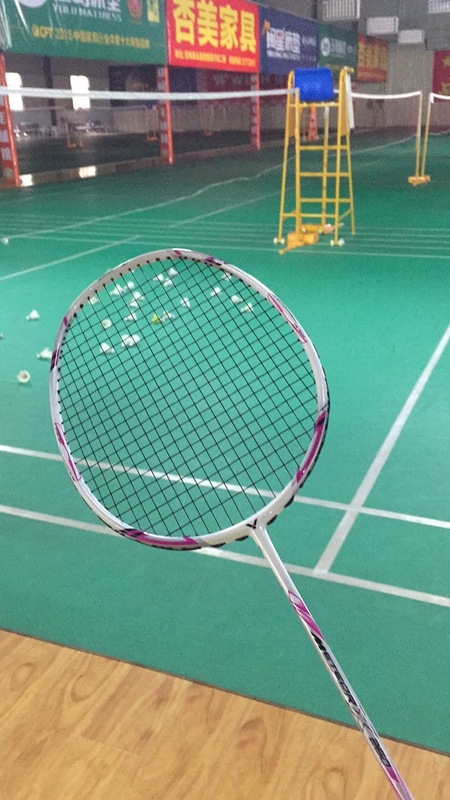 (I also kinda expected I was gonna get tired of playing badminton after a few months.) It’s a decathalon 860s and we went on many adventures together. 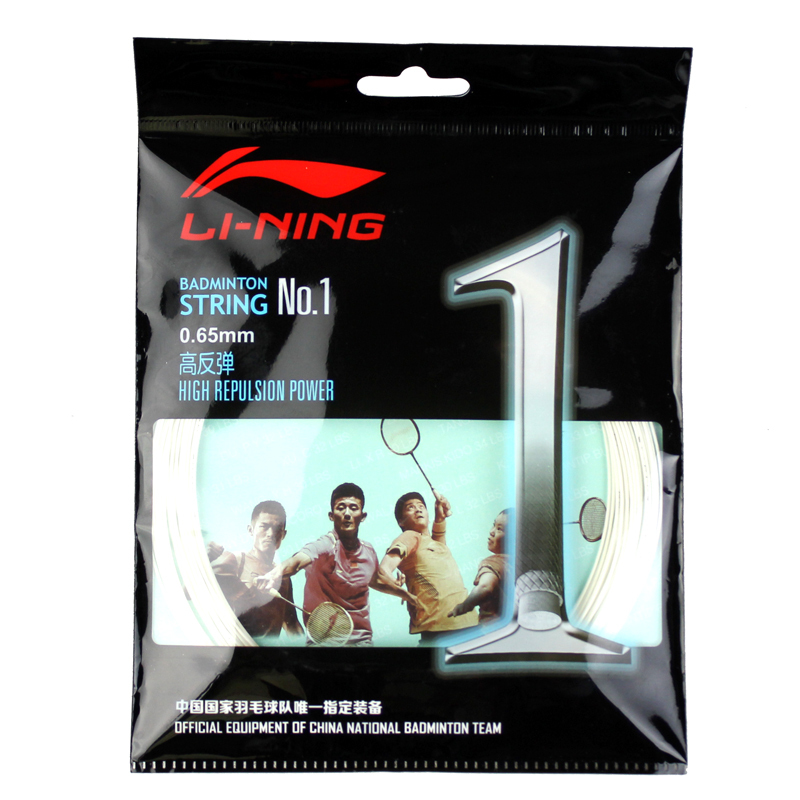 I hang it on my wall in honor of it being my first badminton racket and to remind myself how my friends encouraged me. The frame broke not even a year later. I use lining #1 strings. My coach told me to, and he knows my playing better than anyone so I go with what he says.